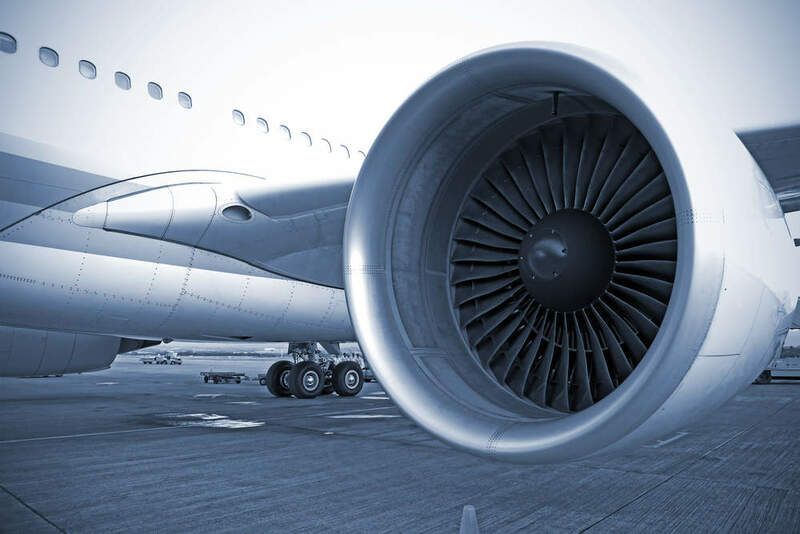 Turkish Airlines finalised an order with Boeing for the purchase of 25 787-9 Dreamliner aircraft for an undisclosed sum, and Airbus planned to test a harpoon to trap defunct satellites and remove them from the sky. Aerospace-technology.com wraps up the key headlines from March 2018. Air-breathing ion thruster. Credit: ESA / Sitael. Lightning laboratory test on model aircraft. Credit: Joan Montanya / Polytechnic University of Catalonia. 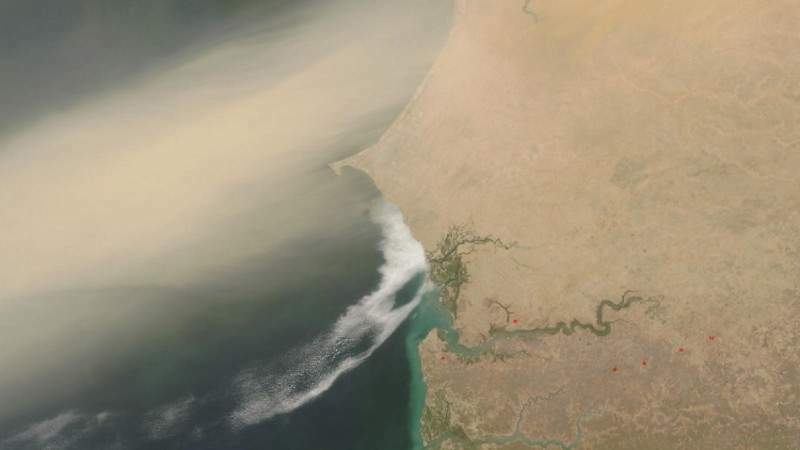 Large dust plume blowing off the Sahara Desert and out over the Atlantic Ocean. Credit: Nasa. 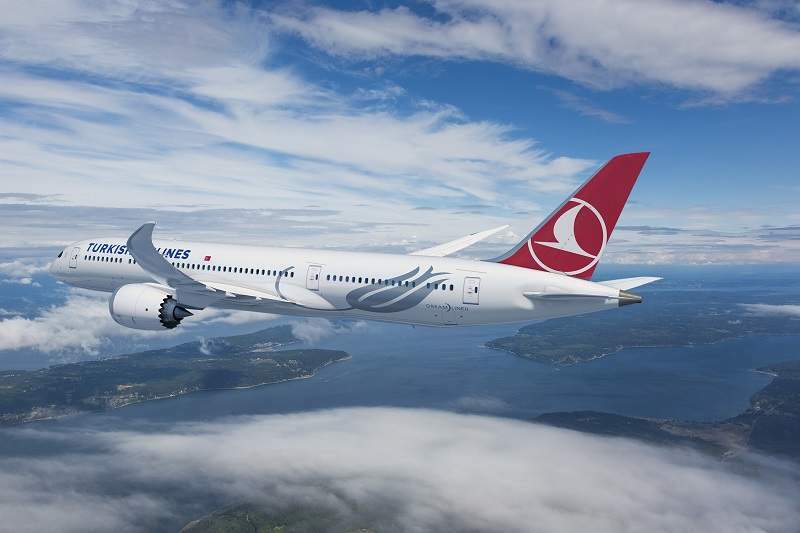 Turkish Airlines finalised an order with Boeing for the purchase of 25 787-9 Dreamliner aircraft for an undisclosed sum. An option for five additional aircraft is included in the order, which is the result of a partnership announced between the companies in September. The new aircraft are expected to help Turkish Airlines to further meet the increasing demand at its home airport in Istanbul. Airbus planned to test a harpoon to trap defunct satellites and remove them from the sky. Currently under development, the 1m-long projectile is designed to be attached to a ‘chase spacecraft’ by a strong tether, deployed to capture rouge satellites and other debris orbiting Earth. The captured objects will burn up once they enter the Earth’s atmosphere. Scientists expressed concern that the red Tesla car floating in space could potentially pollute Mars, as the car may contain bacteria from Earth. The Roadster was onboard a SpaceX Falcon Heavy rocket launched last month and could land on Mars. Purdue University Earth, atmospheric and planetary sciences professor Jay Melosh said: “If there is an indigenous Mars biota, it’s at risk of being contaminated by terrestrial life. 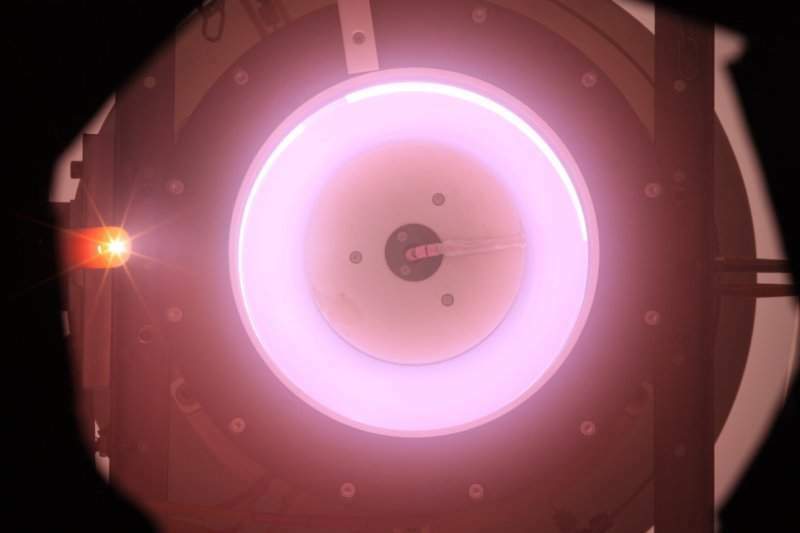 A team of scientists led by the European Space Agency (ESA) successfully tested an electric thruster designed to ingest scarce air molecules from the top of the atmosphere for use as propellant. The test opened up new ways to power satellites flying in very low orbits for years. In order to test the air-breathing electric propulsion concept, Italian company Sitael developed a dual-stage thruster. Indian low-cost airline SpiceJet finalised a $12.5bn deal with CFM International for the purchase of LEAP-1B engines to power its new fleet of 155 Boeing 737 MAX aircraft. Under the deal, CFM International will also provide spare engines for the fleet. In addition, SpiceJet entered a ten-year rate-per-flight-hour (RPFH) agreement with CFM Services to maintain the LEAP-1B engines powering its 737 MAX planes. China Aerospace Science and Technology (CASC) revealed an updated plan regarding the development of a constellation of more than 300 low-Earth orbit (LEO) small satellites to provide communications and other services worldwide. As part of the plan, CASC expects to launch the first satellite of the proposed Hongyan constellation later this year. Testing of the terminals, along with the verification of the satellite monitoring and control system, is to be carried out this year. A team of engineers from Massachusetts Institute of Technology (MIT) in the US discovered a new way of reducing an aircraft’s lighting risks by installing an on-board system that would protect a plane by electrically charging it. 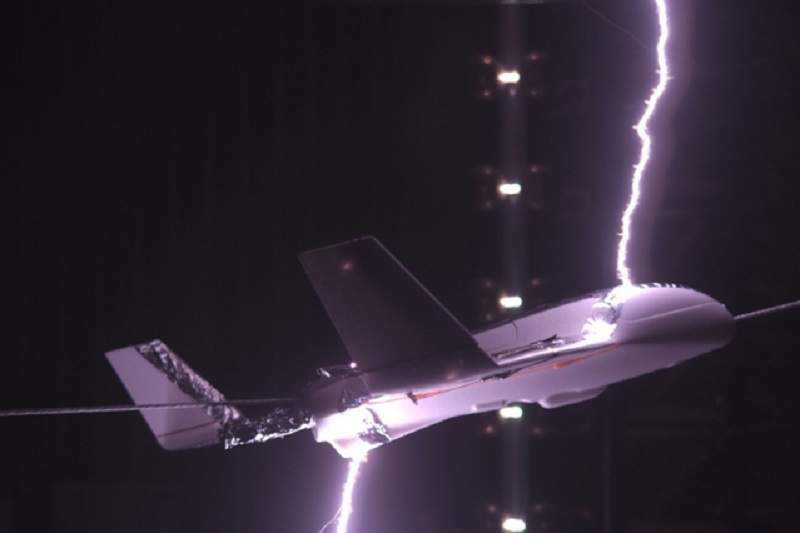 The study found that if a plane was charged to the right level, it could significantly reduce the possibility of it being struck by lightning. It formed part of research sponsored by Boeing. It was inspired by the fact that when an aircraft flies through an ambient electric field, its external electrical state, normally in balance, shifts. Malaysian carrier AirAsia (AAB) signed a definitive agreement to sell its Asia Aviation Capital (AAC) aircraft leasing unit to entities managed by BBAM for $1.2bn. As part of the deal, BBAM-managed Fly Leasing (FLY) will purchase 54 Airbus narrow-body aircraft and seven CFM engines that will be leased back to AAB and its affiliates, in addition to one Airbus narrow-body aircraft, which will be leased to a third-party airline. FLY will have an option to buy an additional 20 Airbus A320neo family aircraft, which are not subject to lease and are scheduled to be delivered by Airbus next year. Israel Aerospace Industry (IAI) commenced work on the development of green energy solutions for use in future electric-powered aircraft. The company is set to complete the conceptual design phase of the solutions as part of the effort. When developed, the solutions are expected to offer environmental benefits, as well as longer ranges and endurance with fuel cost savings. Nasa collaborated with Cornell University in the US to conduct a joint study to understand how desert dust affects climates from space. Titled Earth surface Mineral dust source InvesTigation (EMIT), the $60m collaboration includes an advanced imaging spectrometer that will be mounted on the International Space Station aimed at desert regions worldwide. The instrument is currently under development at Nasa’s Jet Propulsion Laboratory (JPL) with input from a team that includes EMIT deputy principal investigator Natalie Mahowald, along with other co-investigators.